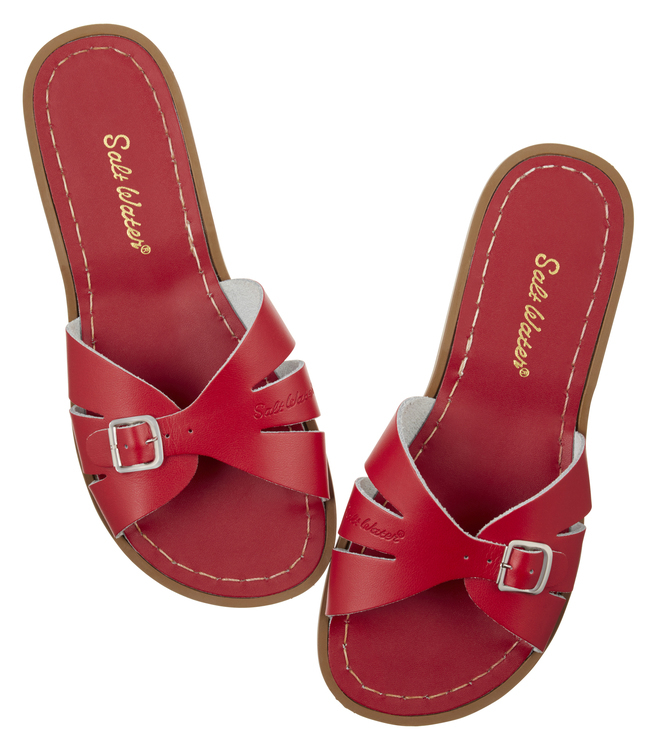 Meet the Salt-Water Slide - the newest member of the Saltie family. 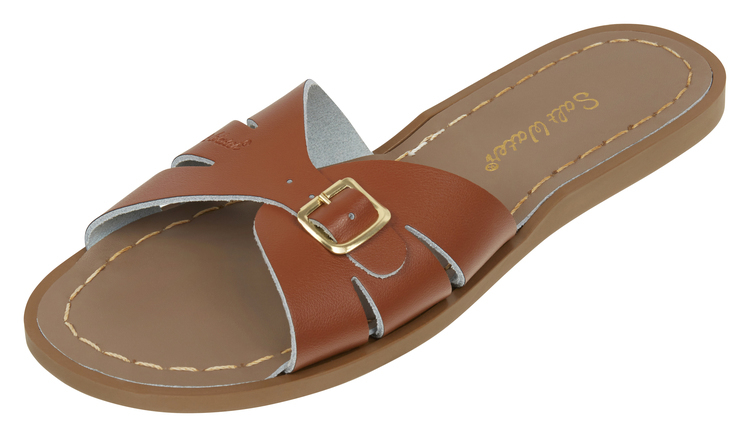 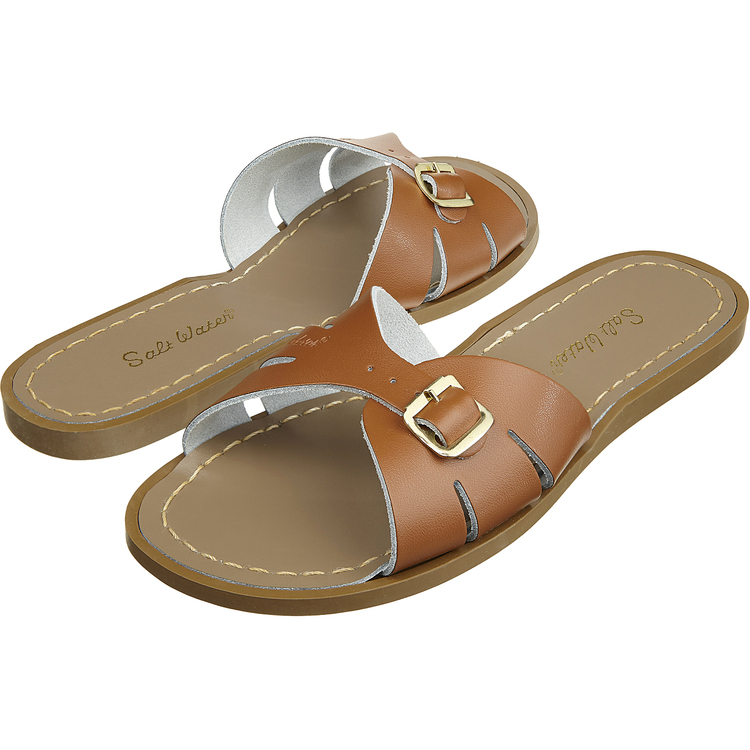 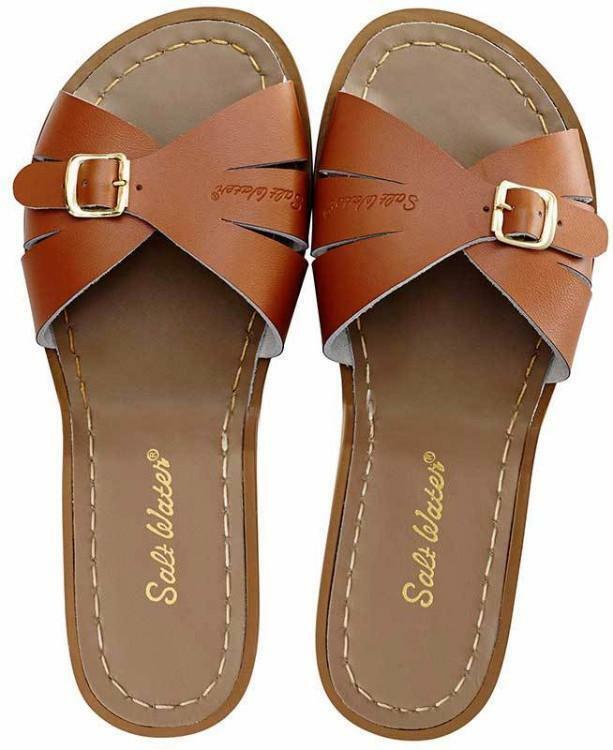 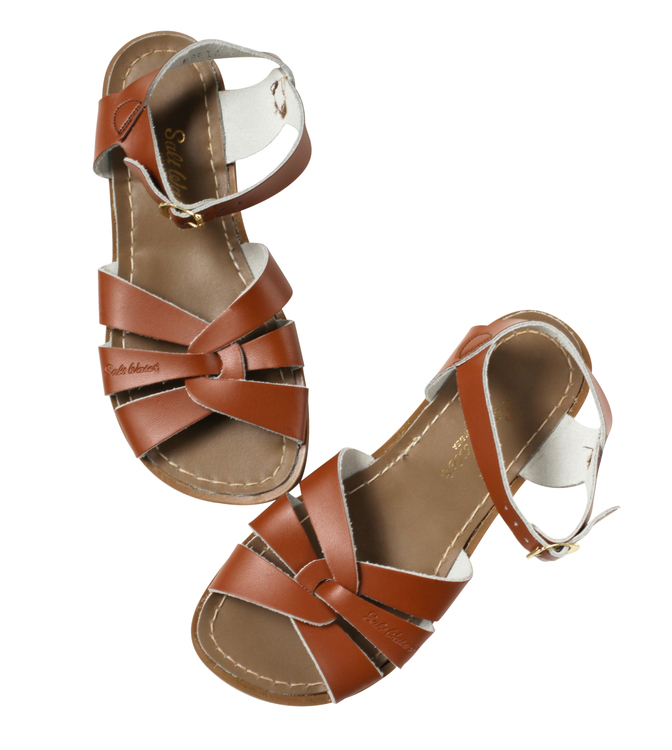 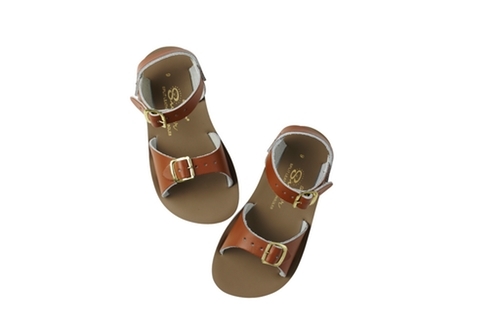 Based on the Classic style with an adjustable front strap but with no ankle strap making it easy to slide on and off. 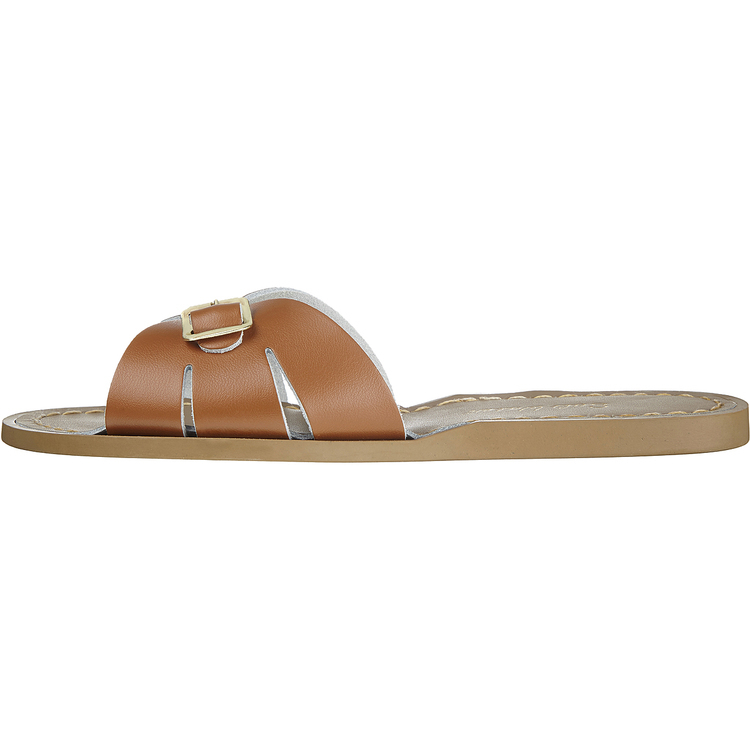 The Salt-Water Slide in Tan is your perfect travelling partner.